I’ve posted this once before, and thankfully The Knot has provided a refresh. 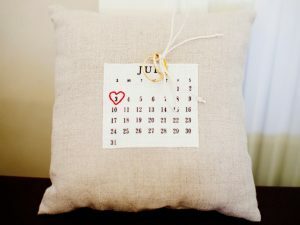 It’s a look at potential wedding dates to avoid for not only 2017 but 2018 and 2019 as well (for those planning a bit farther out). The article begins with a reminder to look at personally significant days. It reminds couples to check their own calendars for college reunions, family weddings, anniversaries or other events, like big conventions or festivals in their city, and any annual occasions that involve family or close friends. From there, the article goes into depth with holiday weekends followed by religious and cultural events. There are days of remembrance, major sporting event weekends, and even dates that for one reason or another are considered unlucky (all those Friday the 13th’s? yes, they’re listed!). To read the full article, click HERE, and let us know what you think. Have you ever attended or been invited to a wedding that fell on a date that surprised you? Did the couple work the ‘conflict’ into their theming in any way (i.e. Halloween with costume-optional, Independence Day with fireworks)? Share your thoughts. We’d love to hear from you!